At home and at work, science has shown that developing certain simple strengths can significantly improve your mood, relationships, resiliency and quality of life. Why not give it a try? Here are 56 cards that offer simple and easy-to-do daily practices. Integrate them into your life and you can have powerful results and uncover sustainable happiness. Plus-six bonus mindful living meditations to help you relax, focus, grow joy and boost your brain power! 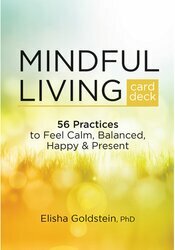 The Mindful Living Card Deck from Elisha Goldstein on Vimeo. Elisha Goldstein, PhD, is a psychologist, co-founder of The Center for Mindful Living in West Los Angeles with his wife, Stefanie Goldstein, PhD, an international mindfulness educator, and author of five books, including Uncovering Happiness, The Now Effect, and co-authored A Mindfulness-Based Stress Reduction Workbook. In the last 15 years, as mindfulness has entered the mainstream, Elisha has identified our greatest struggle – creating consistency for lasting, beneficial change. 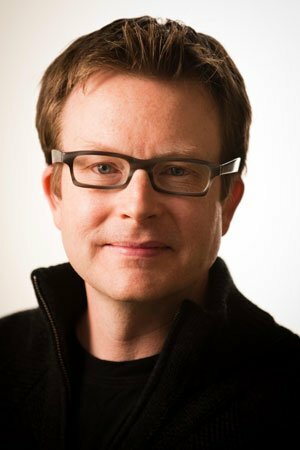 This led to the launch of his 6-month online coaching program, A Course in Mindful Living. Elisha is on a mission to catalyze the next age of thriving. In an increasingly fragmented society, he is working to bring people together so they may motivate and inspire one another.